Residents of New York could soon have access to medical marijuana under an executive action to be announced by state governor Andrew M. Cuomo in the coming week. In a move that would add New York to a growing list of medical marijuana states, Gov. Cuomo plans to allow 20 hospitals across the state to prescribe medical marijuana for patients suffering from certain conditions, state officials tell The New York Times. The list will be set by New York’s Department of Health, and will likely be limited to severe, debilitating illnesses. Rather than implementing new laws for medical marijuana, Gov. Cuomo has decided to rely on a provision passed in 1980 by the state Legislature and then-Gov. Hugh Carey for the very purpose. Antonio Olivieri, a former state Assembly member who succumbed to brain cancer in 1980, lobbied the state to allow medical marijuana for hospital patients, which it did through the ‘Antonio G. Olivieri Controlled Substance Therapeutic Research Program’ bill. While the bill was written into law, it was never implemented, reports The New York Post. 34 years later, Gov. Cuomo seems to finally be acknowledging the public’s overwhelming support for medical marijuana. 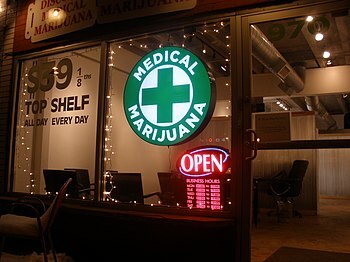 Read more via New York Will Soon Allow Medical Marijuana, State Officials Say – Leaf Science. Whoops, New York Legalized Medical Marijuana in 1980!